The ritual of switching a seasonal wardrobe is different for everyone depending on how big your closet is and how much clothes you actually own. It’s easier for someone with a “capsule wardrobe” (article about this coming soon! ), but for someone like me with a ton of clothes it can take up up to several days (sigh). 1. Throw all your summer and winter clothes out on a bed, or a large carpet – including dirty laundry, underwear and socks. Put your clothes in the categories – trousers, shirts, vests, … There is a fe reasons for sorting both winter and summer: some summer things can be worn in winter when layering. Current trends make it possible to pair a summer silk skirt with a chunky sweater or a summer tank top under the shirt. Intuitively, select the pieces for the winter and put the others down. The things you’re about to store, check if they don’t have stains from sweat, meals, or make-up. If you do not clean them now, you can forget about wearing them next Spring. This part is very important! Whether your summer clothes have been stained or not, I alwas suggest to wash them or take them to drycleaners anyways. If you won’t do it, the sweat remains (which you can’t see now) can turn yellow. It is a tedious matter, but in the spring time you will definitely appreciate it. Wash, dry clean, iron, or steam. 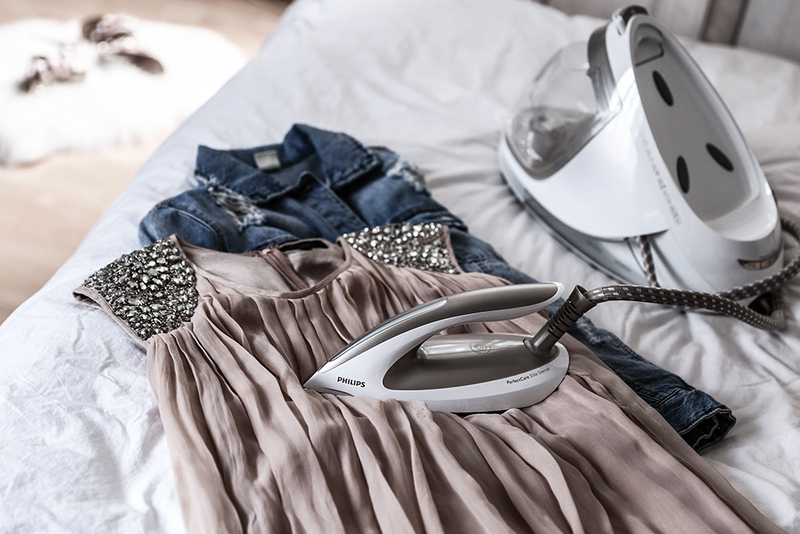 Never store clothing that has not been ironed! Since this is probably the longest part of the process, you want it to be as short as possible. My best buddy in this long process is my Phillips iron. It’s actually a “steaming ironing system”. The difference from the classic iron is that whether ironing jeans or silk, I don’t have to change the temperature and the fabric never burns. The water tank is almost two litres, which lets you iron for neary two hours and you can use the water from the tap. I put on Netflix and the ironing session goes by super fast! 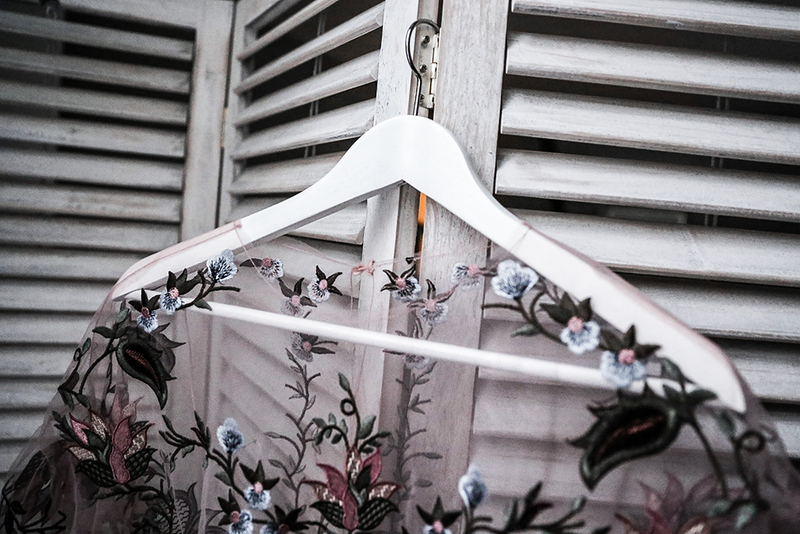 It’s also great that for delicate fabrics like silk or frilly dresses you do not need an ironing board, you can use it vertically and just steam your clothes and they are ready to go. When storing the shoes, make sure you clean them first, spray with a disinfectant spray from the inside and let them dry. If you need to put hard fillings (I do not know how it’s officially called, but I buy them in Salamander) to keep their shape. I will then put them in either the dust bags that were in the box when they were bought or in the boxes themselves. If you don’t have that many clothes, you can probably store them in the upper shelves. My personal shelves are not enough though so I prefer the IKEA (apper) boxes. They should be breathable but not so much for the insects to penetrate (sometimes I choose plastic even if it is not recommended). I put a bag of dried lavender or papers squeezed with Doterra’s natural lavender oil into each box (which I also use for insomnia and bedtime relaxation). Do not forget to mark the boxes! Otherwise, in case of an impulsive purchase of a ticket to Thailand in December, you pull off all your hair out when searching for your swimsuit. It’s a bit exhausting (the sorting, not the drinking part) but very rewarding and especially getting rid of things that would consciously or subconsciously bother you. I wish an amazing week!